Come live the cinematic adventure on Sat. Jan. 26, 2019. Explore the Savannah History Museum, take a behind the scenes tour, interact with historical characters from Savannah History Museum’s lively exhibits and catch one of the screenings of “Night at the Museum: Battle of the Smithsonian” (rated PG) in the Savannah History Museum Theater. 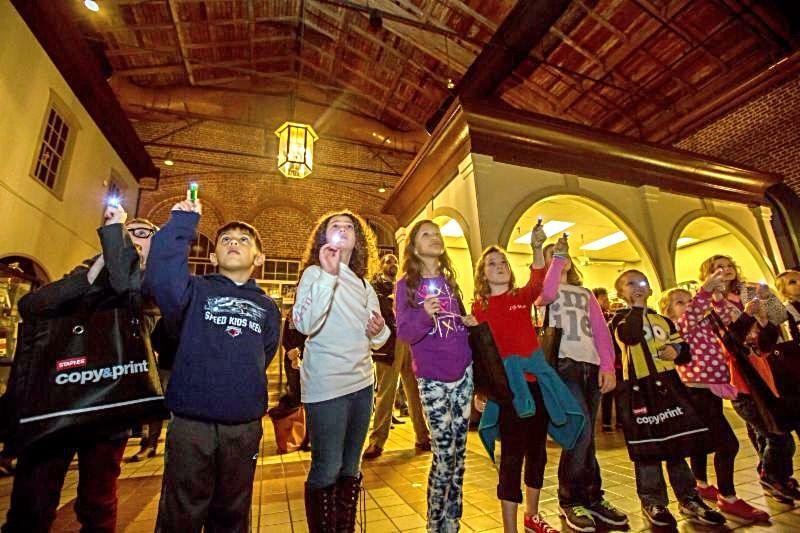 Click below to select your time and experience Savannah History Museum’s “Night at the Museum” 2019 event. Tickets: $12 for adults and children (18 mos. & older). Interact with characters from Savannah History Museum’s exhibits as the historical figures appear to magically come to life. This year’s characters include: Casimir Pulaski, Flannery O’Connor, a Central of Georgia Railroad worker, and more! One of the most important jobs in a museum is the night guard. Join the exclusive training program and become an honorary Savannah History Museum Night Guard. Don’t miss this exclusive opportunity. Contact Dan McCall with any questions at 912-651-6840 X 302 or dmccall@chsgeorgia.org. This entry was posted on Monday, January 14th, 2019 at 12:29 pm	and is filed under Art/Culture/Entertainment, Development/Education, Museums. You can follow any responses to this entry through the RSS 2.0 feed. Both comments and pings are currently closed.